In this study, palynological analysis of 64 propolis samples from Hakkari province in Eastern Anatolia Region of Turkey was carried out. By microscopic analysis method, pollen diagnosis was made in propolis samples, and plants which may be propolis sources, were estimated. As a result, 71 plant taxa belonging to 34 families were identified at different rates in propolis samples. The pollens of the plants belonging to the family Apiaceae (2,7%-35%), Asteraceae (3,4%-35,4%) and, Fabaceae (12%-66%) were considerably found in the propolis of the Hakkari region. This study is the first report introducing the plant profile of Hakkari propolis in detail. Mărghitaş L.A., Dezmirean D.S., Bobiş O., “Important developments in Romanian propolis research”, Evid Based Complement Alternat Med., 1(1):1-9, (2013). Gençay, Ö. and Sorkun, K., “What do know about propolis?”, Technical apiculture,1(1): 17-21, (2002). Hepşen, İ.F., Tilgen, F. and Er, H., “Propolis: medical properties and ophthalmologic use”, J Turgut Ozal Med Cent, 3(4): 386-91, (1996). Parolia, A., Kundabala, M., Rao, N. N., Acharya, S. R., Agrawal, P., Mohan, M., and Thomas, M, “A comparative histological analysis of human pulp following direct pulp capping with Propolis, mineral trioxide aggregate and Dycal”. Australian dental journal, 55(1): 59-64, (2010). Basista-Sołtys, K., “Allergy to propolis in beekeepers-a literatüre review”, Occup Med Health Aff, 1(1):1-3, (2013). D’albore, G.R., “L’ origine geographique de la propolis”, Apidologie, 10 (3): 241-267, (1979). Silici, S., “Investigation of Bıologıcally Actıve Components in Propolis Samples from Different Botanical Orıgin, Erciyes University Journal of Institue of Science and Technology”, 24 (1-2):120-128, (2008). Kumova, U., Korkmaz, A., Avcı, B.C. and Ceyran, G., “An Important Bee Product: Propolis”, Uludağ bee journal, 10-24, (2002). Silici, S., “Turkish propolis: chemical constituents”, Mellifera, 10(19): 24-33, (2010). Silva, C.R.B., Putarov, T. and Orsi, R.O., “Pollen spectrum of propolis samples from São Paulo State, Brazil”, Acta Scientiarum. Animal Sciences Maringá, 35 (3): 297-300, (2013). Wodehouse, R. P., Pollen Grains: Their Structure, Mcgraw-Hill, New York, (1935). Warakomska, Z. and Maciejewicz, W., “Microscopic analysis of propolis from Polish regions”, Apidologie, 23 (4): 277-289, (1992). Kapp, R.O. Pollen and spores, W. M. C. Brown, Dubuque, Iowa, 249 p., (1969) 	Sawyer, R., Pollen Identification for Beekeepers, Uni. Coll. Cardiff Press, 11-13, (1981), 	Faegri, K. and Iversen, J., Textbook of pollen analysis. Textbook of pollen analysis (No. Ed. 4). John Wiley & Sons Ltd., 328p, (1989). Moore, P.D., Webb J.A. and Collinson, M.E. Pollen Analysis, Blackwell Scientific Publications, London, U.K, (1991). Pehlivan, S., Türkiye’nin Alerjen Polenleri Atlası, 187p., (1995). Sorkun, K., Türkiye’nin Nektarlı Bitkileri, Polenleri ve Balları, Palme Yayıncılık, Ankara, 341p, (2008). Doğan, C. and Sorkun K., “Pollen analyses of honeys from Aegean, Marmara, Metiterranean and Black Sea Regions in Turkey”, Mellifera, 1(1): 2-12, (2001). Sorkun, K. and İnceoğlu, Ö., “İç Anadolu Bölgesi ballarında polen analizi, Doğa bilim dergisi”, 8 (1), 222-228, (1984). Santos, F.A., Bastos, E.M.A.F., Maia, A.B.R.A., Uzeda, M., Carvalho, M.A.R., Farias, L.M., and Moreira, E.S.A., “Brazilian propolis: physicochemical properties, plant origin and antibacterial activity on periodontopathogens”, Phytother. Res., 17(3): 285-289, (2003). Barth, O.M., “Pollen analysis of Brazilian propolis”, Grana, 37(2): 97-101, (1998). Gençay, Ö. and K., Sorkun, “Microscopic analysis of propolis samples collectedfrom east anatolia (Kemaliye-Erzincan)”, FABAD J. Pharm. Sci, 31(1): 192-197, (2006). Gençay Çelemli, Ö. and Sorkun K., The plant choices of honey bees to collect propolis in Tekirdag-Turkey, Hacettepe J. Biol. & Chem., 40 (1): 45–51, (2012). Matos, V., Alencar, S.M. and Santos, F.A.R., “Pollen types and levels of total phenolic compounds in propolis produced by Apis mellifera L. (Apidae) in an area of the Semiarid Region of Bahia, Brazil”, An. Acad. Bras. Ciênc., 86(1): 407-418, (2014). ISNAD SORKUN, Kadriye , ECEM BAYRAM, Nesrin , CEVAHİR ÖZ, Gül . "Plant Origins of Propolis from Hakkari, Turkey". 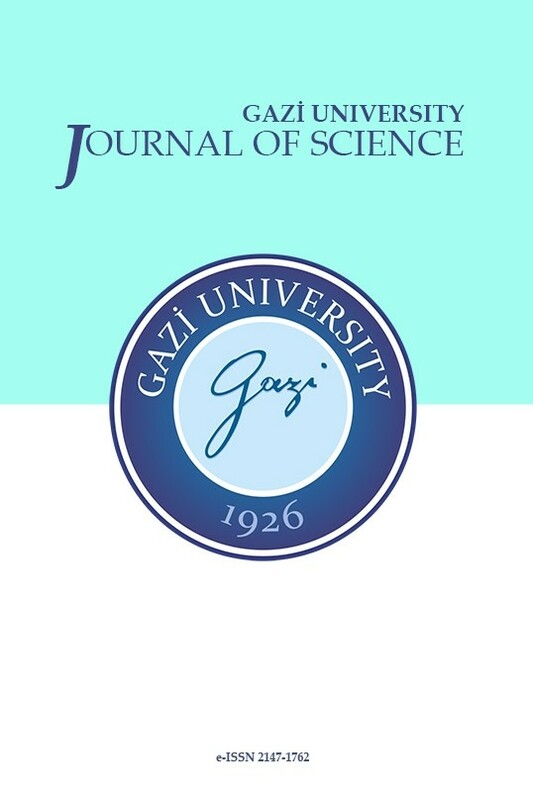 GAZI UNIVERSITY JOURNAL OF SCIENCE 31 / 3 (September 2018): 725-738.